As most people were just waking up and enjoying their morning coffee by 8am, the dolphin killers were already driving two dolphin pods toward Taiji’s killing cove and Cove Guardians were livestreaming the hunt. Two separate pods of Pan Tropical Spotted dolphins were discovered and driven over 15 miles toward Taiji. The fight and struggle of these families lasted over several hours as both pods attempted many times to evade the killers. 47-49 Pan Tropical Spotted dolphins were eventually netted into the killing cove as trainers from all three captive facilities were waiting to kidnap and imprison juveniles. 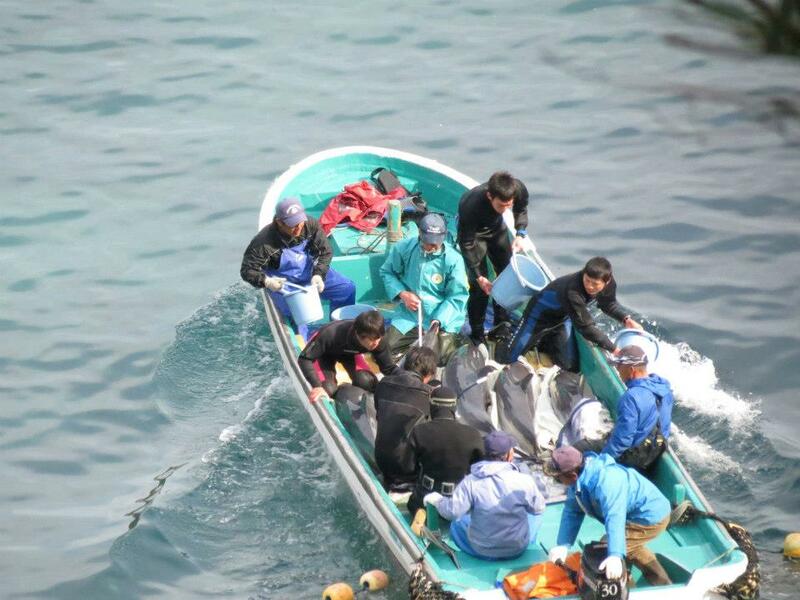 A total of 9 captives were removed from the pod within the cove. 4 were taken to Taiji Dolphin Base and Dolphin Resort and 5 toward the harbor sea pens, only 3 survived and 2 went directly to the butcherhouse. The remaining 36-38 dolphins that were not suitable for captivity were victims of another brutal and bloody slaughter within the shallows of the cove. The thrashing and screams were so loud that live stream viewers worldwide could hear the pain and terror coming from their computers. 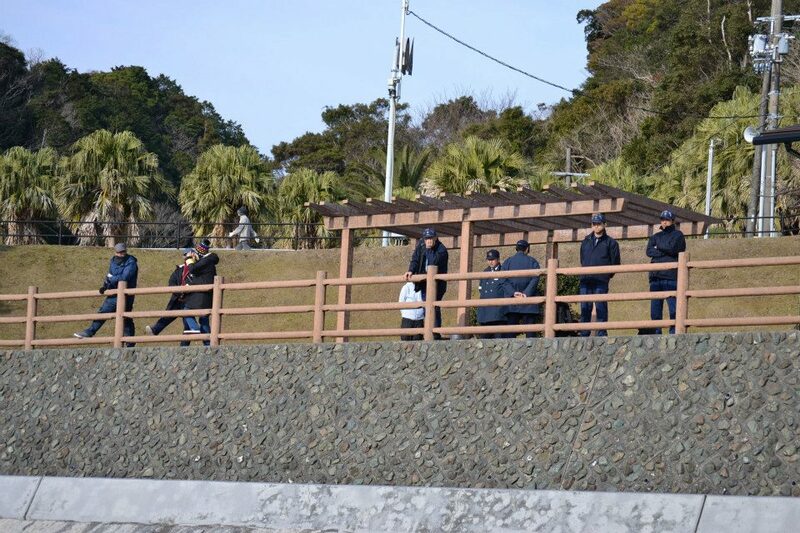 Only a few weeks remain until the end of the drive hunt season and it seems that the police force here in Taiji might be a little on edge as they keep changing the rules each day. We were told that we had to delete some photos taken of town officials and that they were only instructing us to “protect us”. We are not sure what exactly that means, but seems to be a lack of common sense. Our livestream footage from today is now archived at taiji.ezearth.tv. 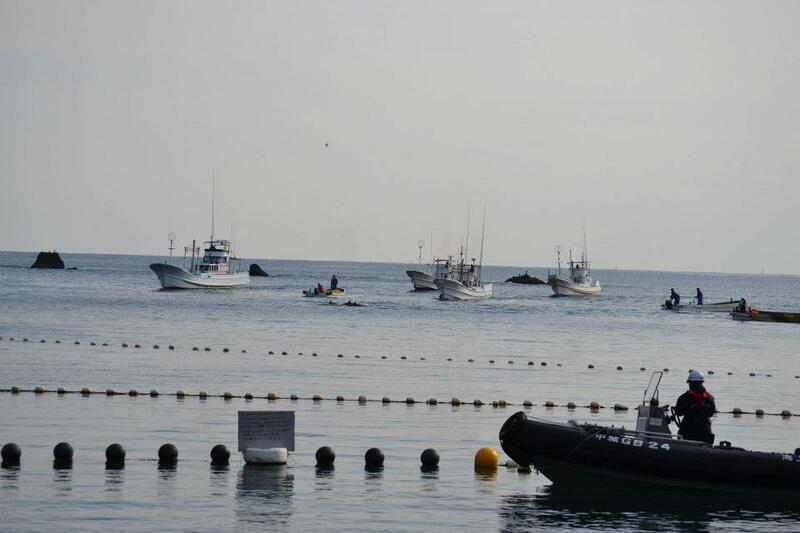 Visit seashepherd.org/cove-guardians — at Taiji, Japan. The massive police and official presence highlights how much money is at stake here. The live capture for human entertainment industry is what keeps this barbaric business afloat. If you go to a dolphin show – you are helping to prop it up. This is what Friday 22nd February 2013 is going to be all about. 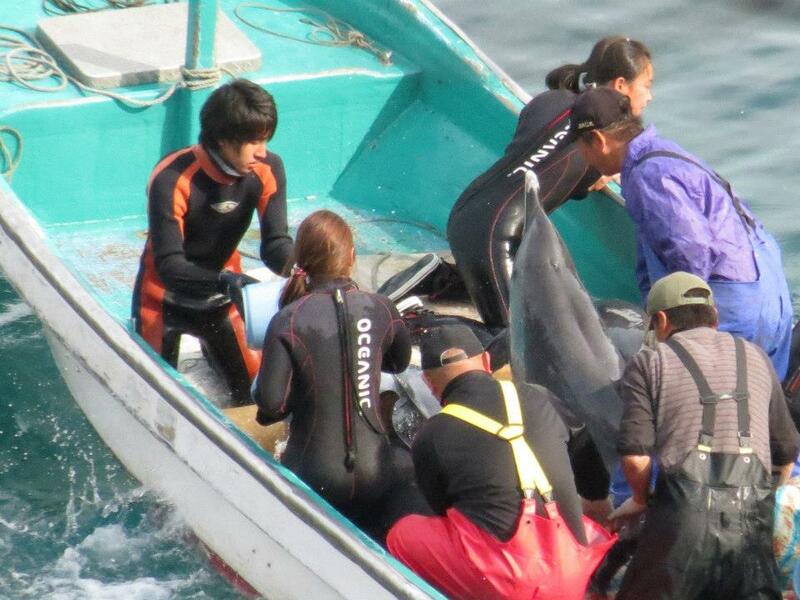 We will not let the Olympic Selection Committee hide these Taiji Terror Tales under the seabed. This entry was posted in Dolphin, Environment, Taiji Terror Tales and tagged dolphin, Global Taiji Action Day 22nd Feb 2013, japan, Seaworld, Taiji, Taiji Action Day London, Taiji Terror Tales. Bookmark the permalink.